Hello and welcome We R Fans! I can’t believe that Christmas is just a few short weeks around the corner! We must be having fun because time sure is flying! Now is a great time to make a start on those festive projects like cards and kris kringle gift ideas. 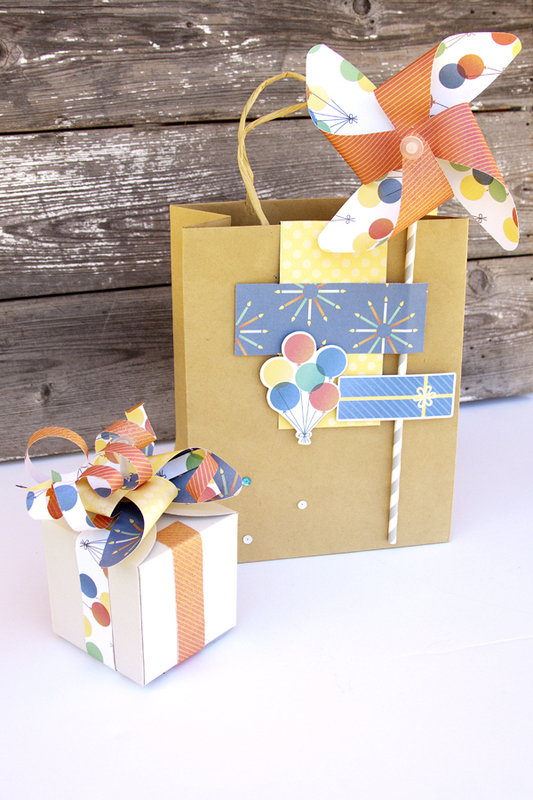 These quick and easy gift bags created with the new DCWV Very Merry Premium 12×12 Stack and my Envelope Punch Board are sure to impress! 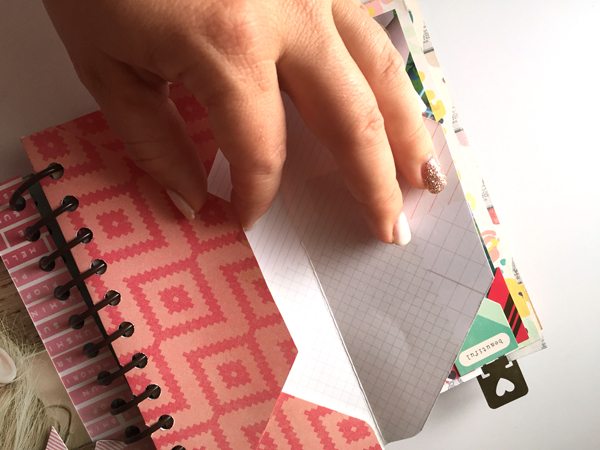 I’ve said it before and I’ll say it again – my Envelope Punch Board is one of my most favourite WeR tools. It’s so easy to use and produces perfect results every time. The Very Merry 12×12 Stack comes bursting with rich festive prints and luxurious foil detail. 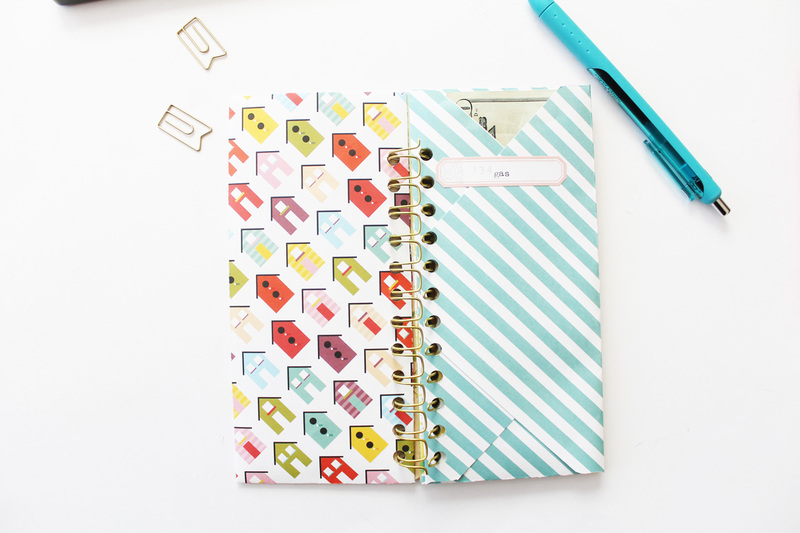 There wasn’t a print I didn’t like and has both neutrals, traditional gingham and also includes some journaling spots. Another great thing about this pad is that the paper is double sided so the inside of my bags had a pretty print and a bit of colour contrast! 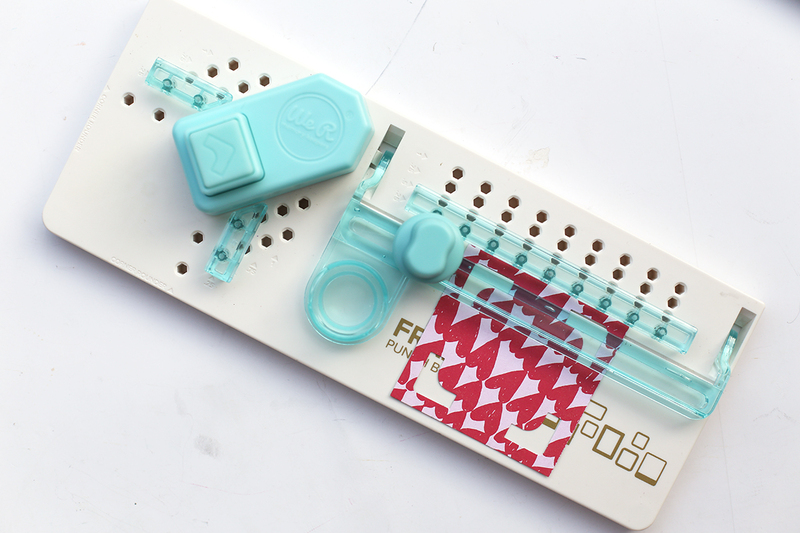 I was thrilled to learn a new way to create using this particular punch board. I have shown some highlight shots below, but you can also click here to watch a video tutorial. Next, you are going to make your first punch at 1 ½ inches and score down along the line. Rotate your paper 90 counter clockwise and then punch at 3 inches and score. Rotate again and punch and 1 ½ and score and then rotate again and punch and score at 3 inches. Now, flip the paper over and lining up the score lines, depending on which one is visible at the particular corner, go about punching and scoring at the same intervals. Rotating the paper as before. Once you have all the punch and score lines created, you will see your grid kinda divides into a thinner section and a thicker band through the middle. We are going to create some extra score lines to create the little triangular ‘flaps’ (for lack of a better word) that will form the inside of the bag and the closure. If you see the third image in the collage below, you can see how I have run a line across each of the four corners so that the triangular part folds in. You can also go ahead and round the corners of the little triangle shapes you have punched. For the side of the bag, we have to do a little more trimming. If you look at image 5 below, you can see I have shown some lines where we are going to create some cuts. 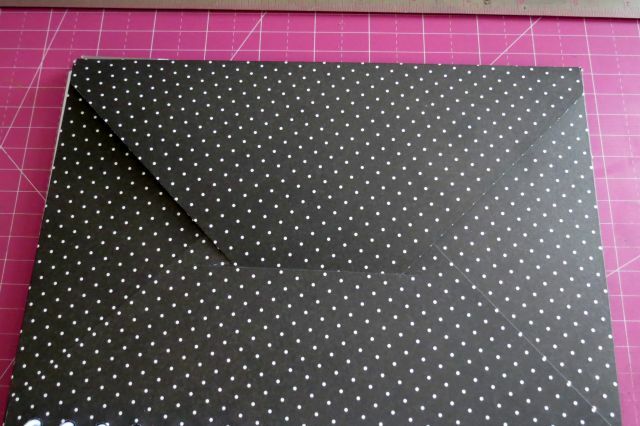 You can use scissors and trim about an inch away from the fold line of the thinner band. 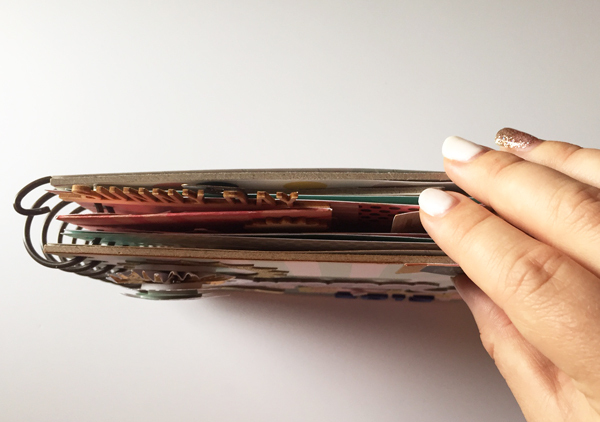 DON’T cut along the fold line as you won’t be able to close your bag. Cut four of these lines and you will end up with a cross shape. Image 6: Fold in the bits we have created above, run some adhesive on the underside of each closure flap and fold up your bag. You’ll be left with a rectangular shape. Fold three of the flaps inside the bag, as shown in image 7 leaving one open which will fold over the bag at the end to close. To give the bag it’s shape, gently pinch the corners near the top and squeeze together, creating a soft ‘v’ shape on each side. Fold the last flap over the top and you are good to go! I’ve given my bags a bit of a twist by creating some die cut areas using my circle, bracket and tag Clear Cut Punches. 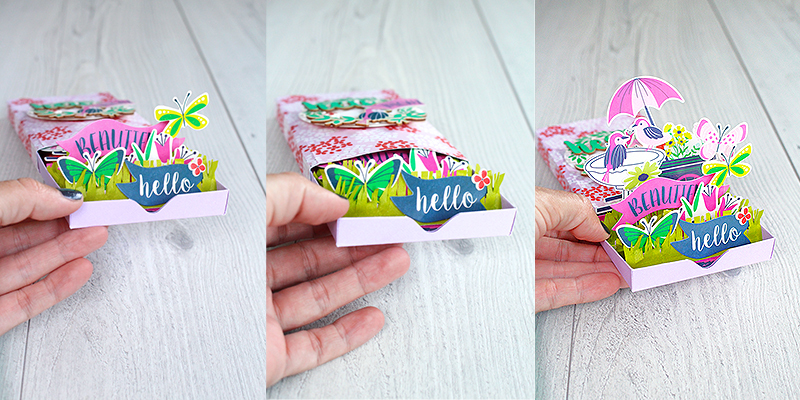 I’ve also added some quick and easy embellishments like a paper bow and other bits using the scraps that I trimmed when creating the bags. The clear window on this bag was so easy to create. I just lined up my WRMK Circle Clear Cut Punch and popped a circular shape into the front of the bag. I placed some lightweight acetate behind the area and filled my bag with treats! The bow was created using my Evolution Advanced and a metal Bow Die. This is an awesome die to have in your collection as creates a bow in one piece that folds together. This neutral bag with its cute house pattern was folded with the method above and embellished very simply with some glitter ribbon. I have popped another die cut shape on this one, this time using my WRMK Bracket Clear Cut Punch and backed the area with a foiled sentiment from the Very Merry Paper Stack. 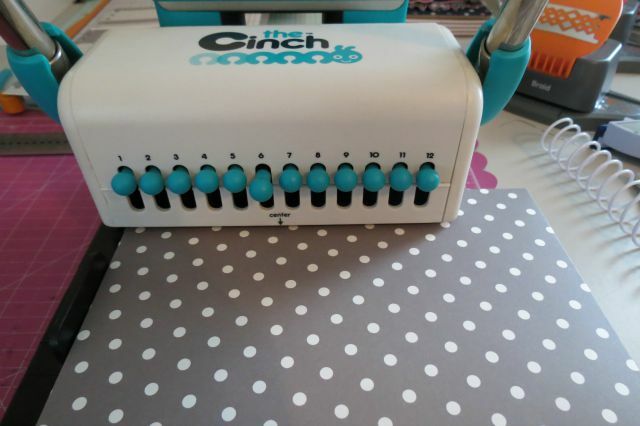 I just LOVE the fact that you can use the Clear Cut Punch wherever you like! They are also very to punch – here you can see I even punched with the paper upside down! This cute red bag has a few more embellishments in the form of some wood veneer. One has been coloured using a brush pen, which is a super quick way to add a splash of colour to them. I used the left over bits from the bags to create some embellishments for my bags. 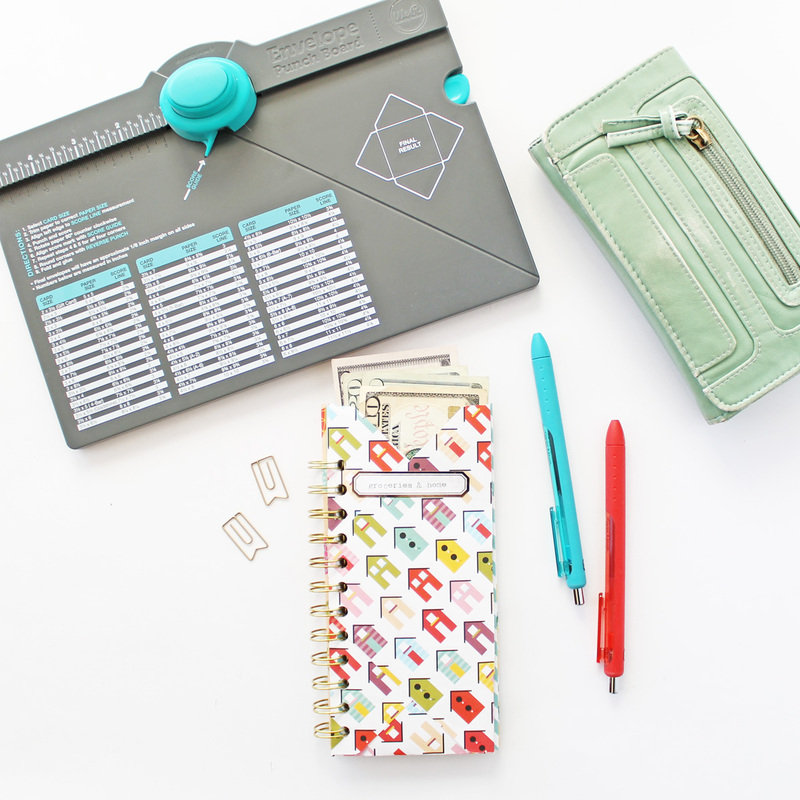 The WRMK Tag Clear Cut Punch creates a little tag and mini banner. I folded some leftover circles in half and glued them together so create a 3D shape. 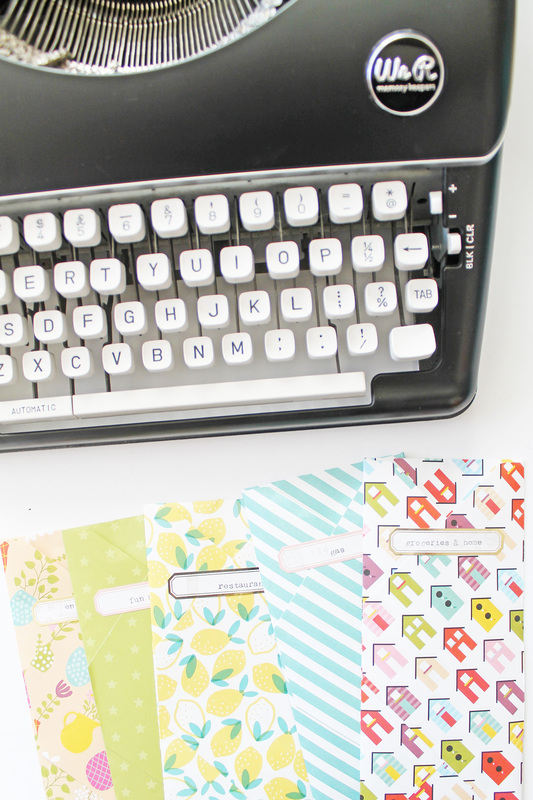 I also created some short tags using my DIY Party Tag Punch, which are going to come in handy for my Christmas cards! The gold-foiled banner shape also comes from the Very Merry Stack, which I have hand cut from the sheet of journaling spots. 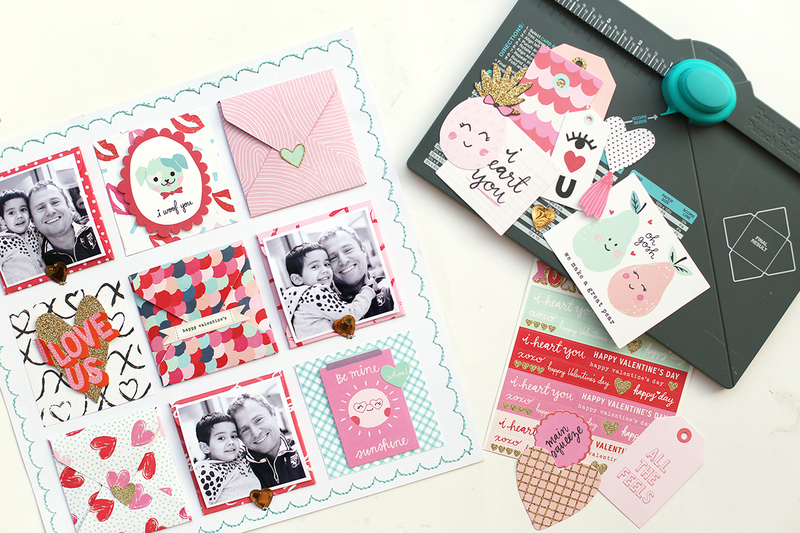 I hope you will be inspired to play with this ‘Very Merry’ Paper Stack and your Envelope Punch Board! Hello WRMK fans and welcome back to the blog. It’s Chantalle with you today and I’d like to share some cards I have created with the help of clever WeR Punch Boards, LetterPress Kit and the fantastic new Dial Trimmer. This card uses beautiful Bazzill Premium Cardstock in Rose Quartz. The pack comes with four different prints, one being a soft ombré, which suited my card idea perfectly. It’s been layered up with some Amy Tangerine On a Whim #378746 Chipboard Stickers and some hand cut elements from On a Whim papers. 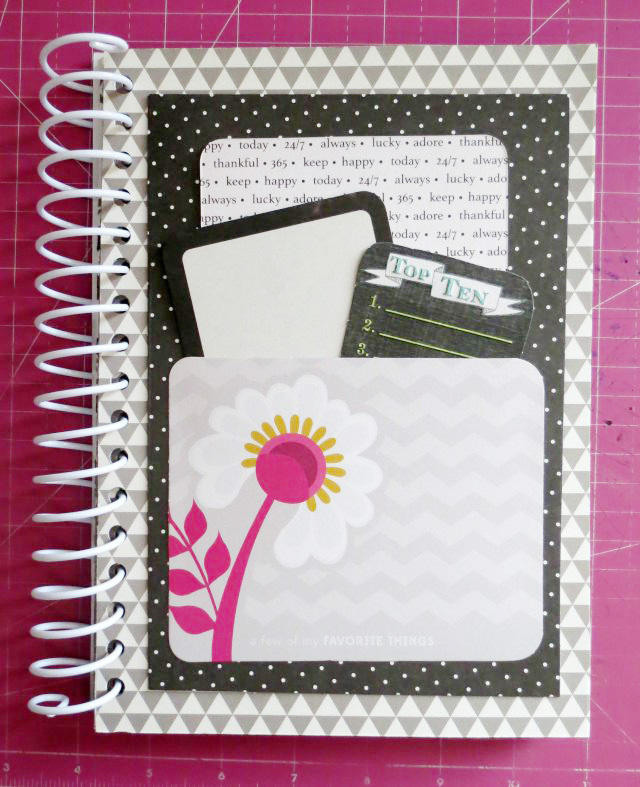 The cardstock has been de-bossed in a floral print with hot pink magenta pigment ink. I will admit to having a bit of a crush on this letterpress technique! This was my first time experimenting with Letterpress, which comes in a very handy Starter Kit and includes everything you need to get started. *Note: You will need a tool like the Evolution Advanced to be able to create a de-bossed effect. 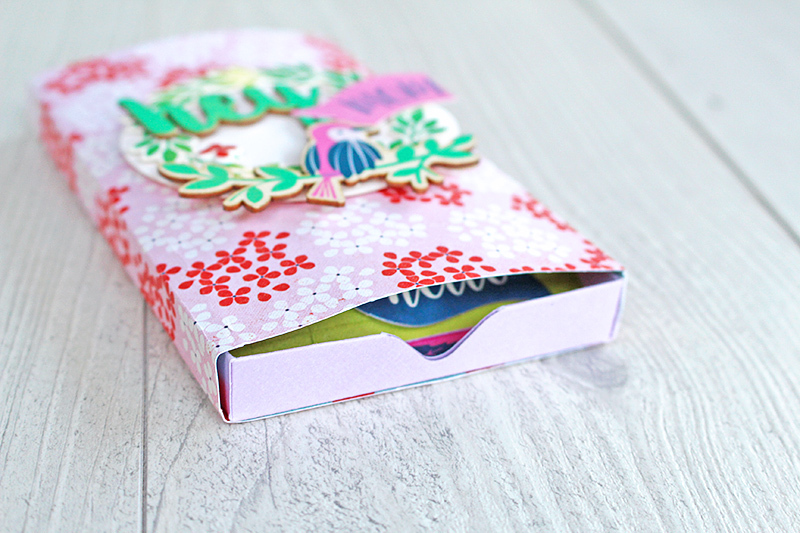 Right at the bottom of this pile of embellishments, are some pretty On a Whim Washi tapes. I love their tropical vibes! I’ve also used my new Washi Tape Chomper to create the perfect pennant shape. 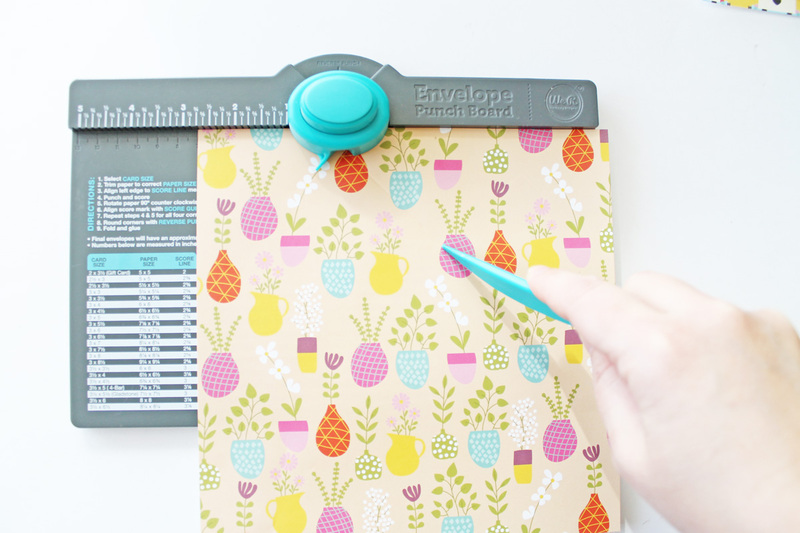 This clever little tool is so easy to use – simple measure the size tape you have, align the tape and then press to cut the shape. Here is an image of the Letterpress just before it’s rolled through the Evolution Advanced. I adhered the plate to the base, then inked it up, aligned the paper and then rolled it through the Evolution. 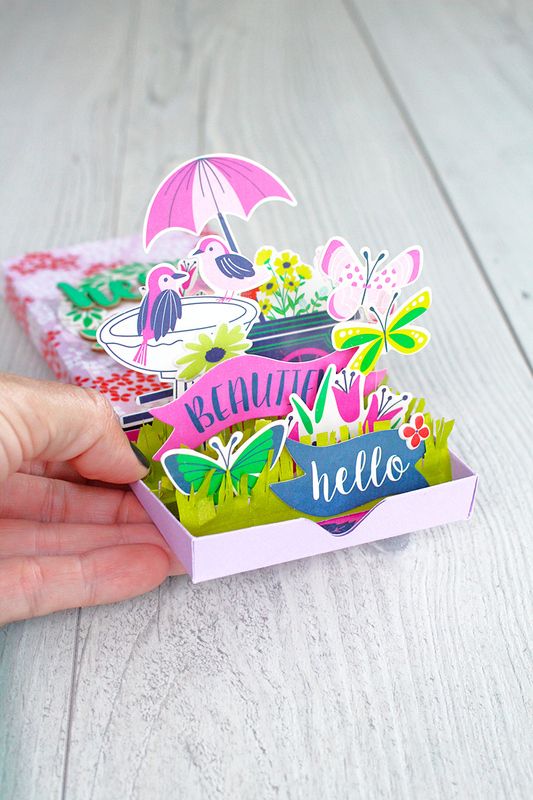 This is a card I created using the same ‘Hello’ plate, combined with the word ‘sunshine’ (both included in the starter kit). I gave some Bazzill Marshmallow cardstock a light watercolour wash and then inked up the plates with yellow pigment ink and debossed it. 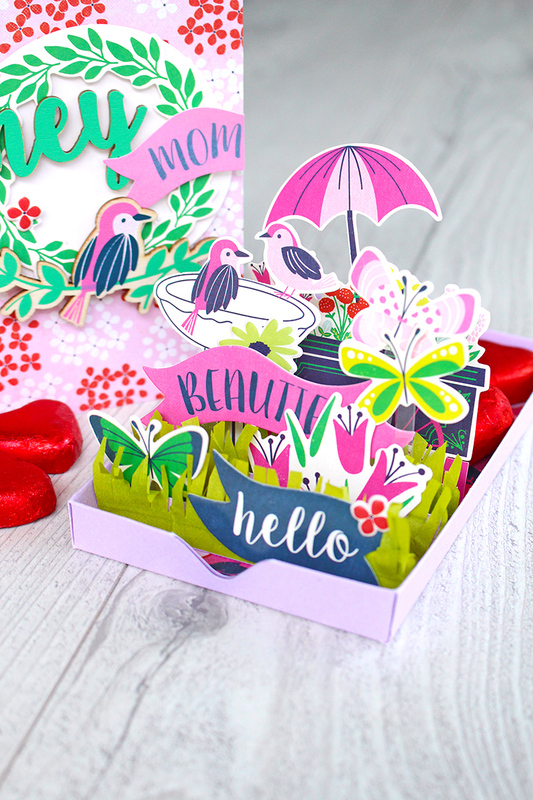 The sunny brights give this card a very happy vibe! This next card is very simple in it’s composition. 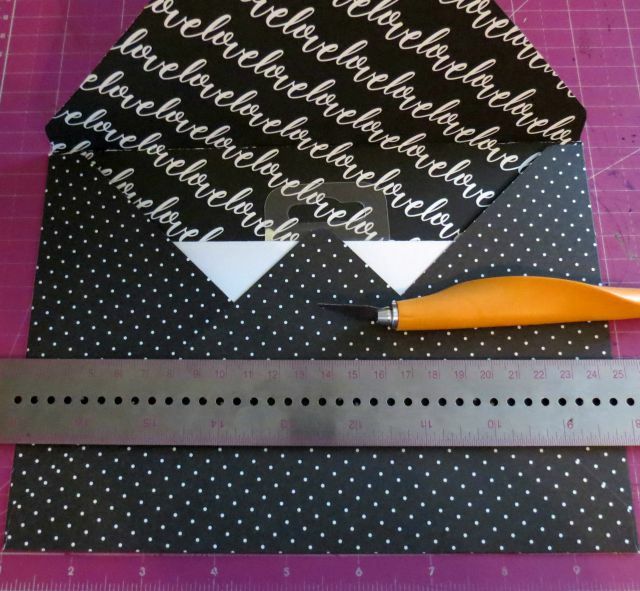 I’ve used my Dial Trimmer to trim some thin strips of patterned paper, having fun with the different edge finishes! I laid all the strips up, adhering them to the front of my card, then trimmed off the excess with my Supreme Ruler. 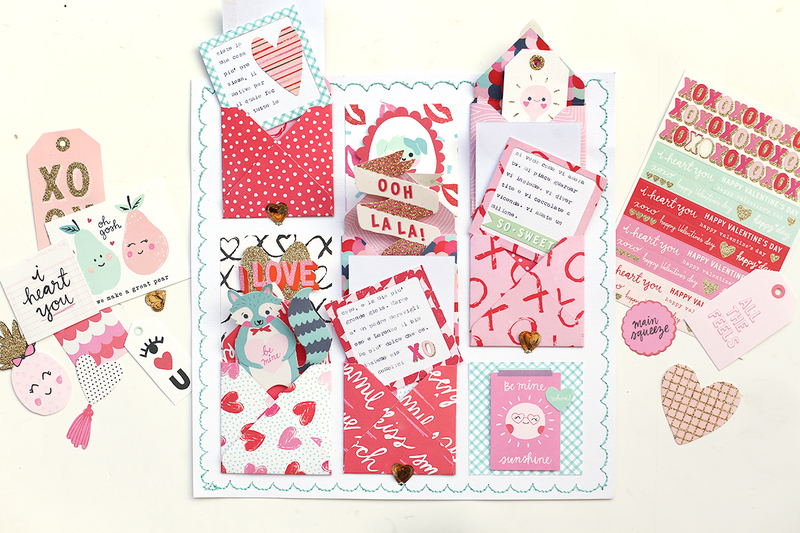 The beveled and scalloped edges have a relaxed feel to them and the strips co-ordinate nicely with the fun On a Whim Chipboard Stickers which I have used to add my greeting. My final card turned out so fun and I’m really excited to share it with you! It’s a self contained card and envelope in one, which has a perforated area which, when pulled back, reveals a greeting. To start, I used my Envelope Punch Board to create an envelope for a 4×6 landscape card. This punch board is a firm favourite of mine! Once I had measured and trimmed my paper, I went about creating the envelope, but didn’t seal it. Instead, I used my ruler to draw two lines, in the centre of the front of the card, about an inch and a half apart. I then used the perforated blade on the Dial Trimmer over the lines I had drawn. Next I created the little postcard for inside the envelope. 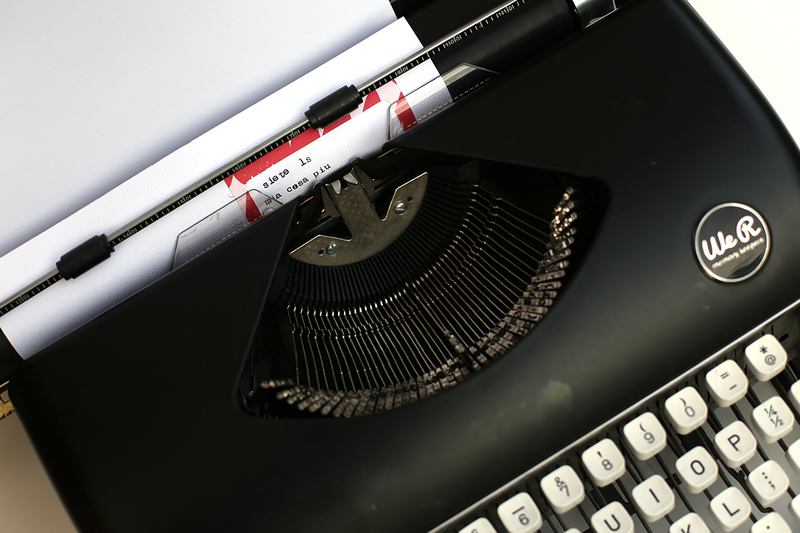 I typed up a message on my Typecast Typewriter and embellished the striped paper with some On a Whim clear and chipboard stickers. I placed the card, face-down onto the prepared envelope sheet and folded it up, adhering it shut. 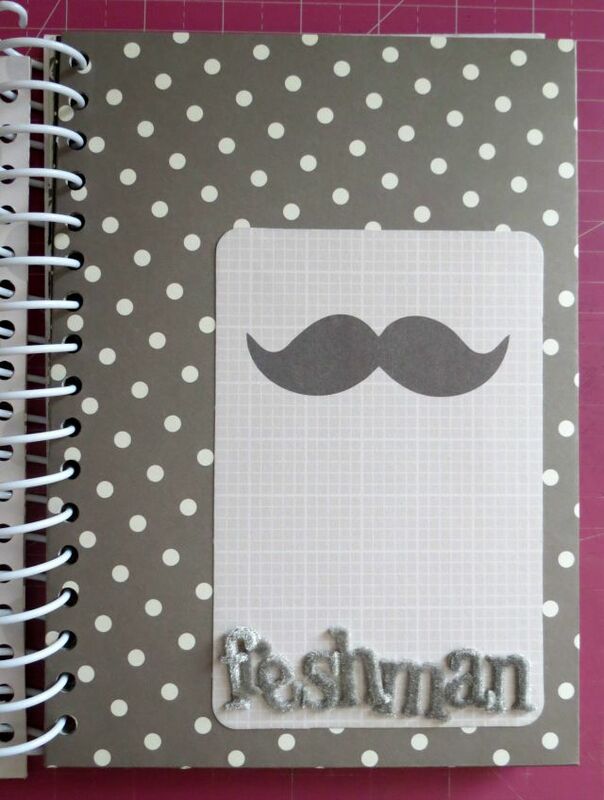 The final step, was creating a little tab so the recipient would know to pull open the perforated area. I used my Tab Punch Board to create a ‘small’ side tab and then, used a blade to very carefully cut a small slit on the far right hand side of the perfed section. I slid the tab inside, making sure it was well adhered, so it wouldn’t come off when in use. The moment of truth…. Success! 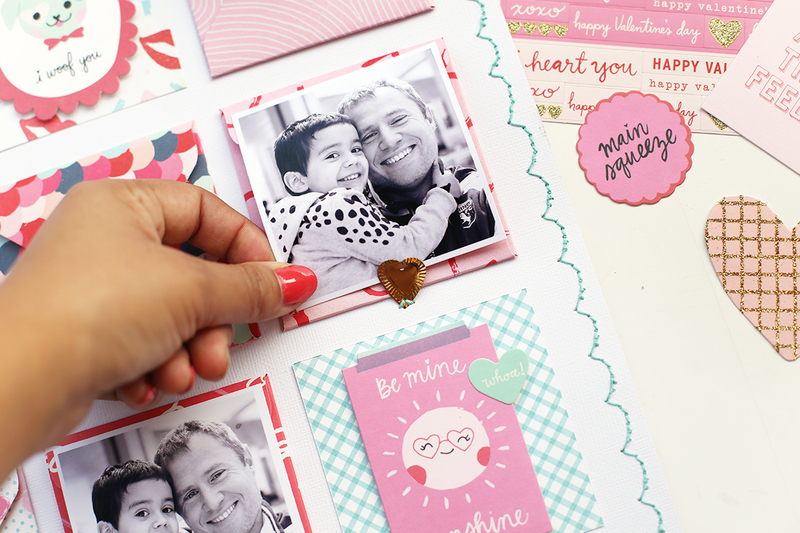 I’m so happy with how this card turned out – such a fun surprise card, thanks to my Dial Trimmer! Thanks so much for joining me today. 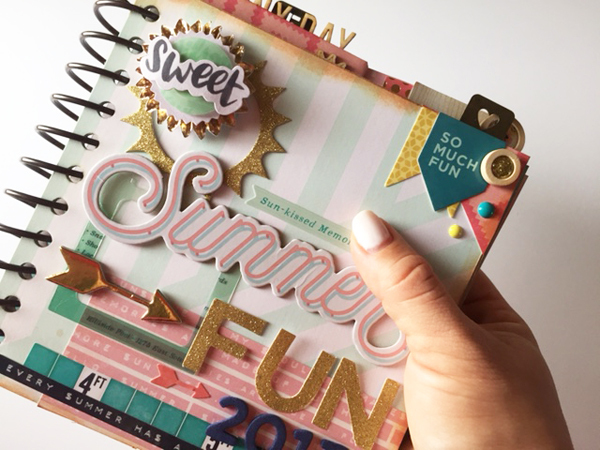 I hope you have as much fun creating with these fabulous tools as I do! Happy Thursday friends! 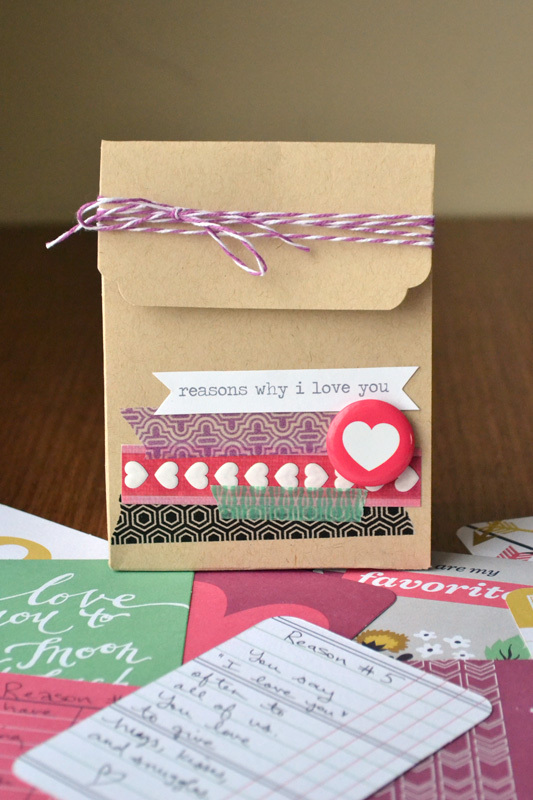 We hope you’re enjoying the beautiful Mother’s Day projects from our design team this week. 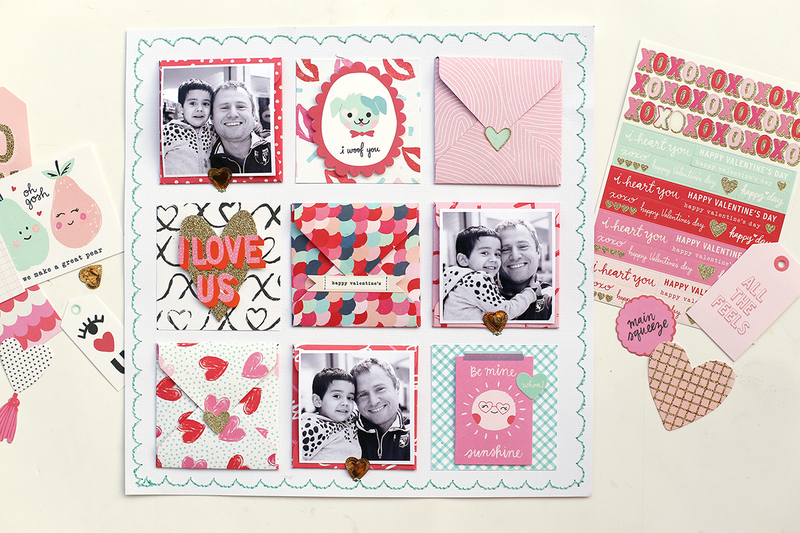 Today we thought it would be fun to throw it back to a favorite Mother’s Day blog project from last year by design team member, Chantalle McDaniel. 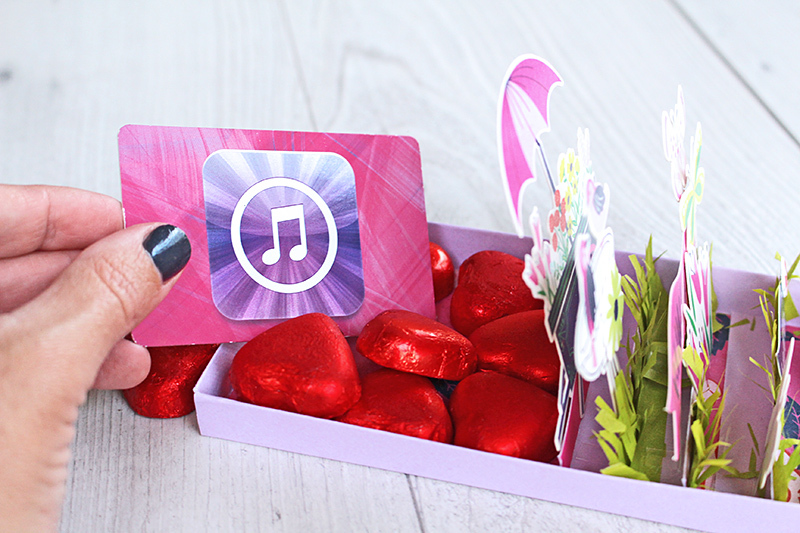 Check out her incredible interactive Mother’s Day Card, video included! Hello We R fans and thank you for stopping in today. With a special day on the calendar fast approaching, I’d like to share a card that I created using the beautiful new Flower Girl collection. 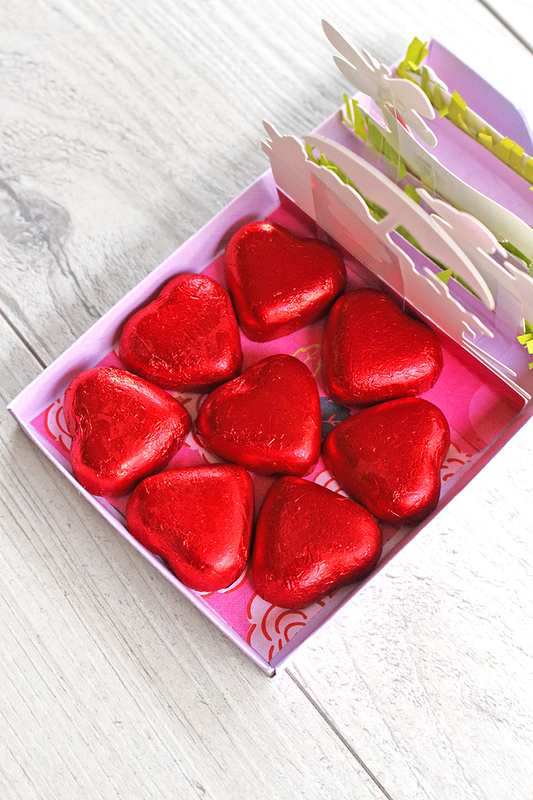 It would be perfect for your Mum or someone special you would like to show your appreciation to. 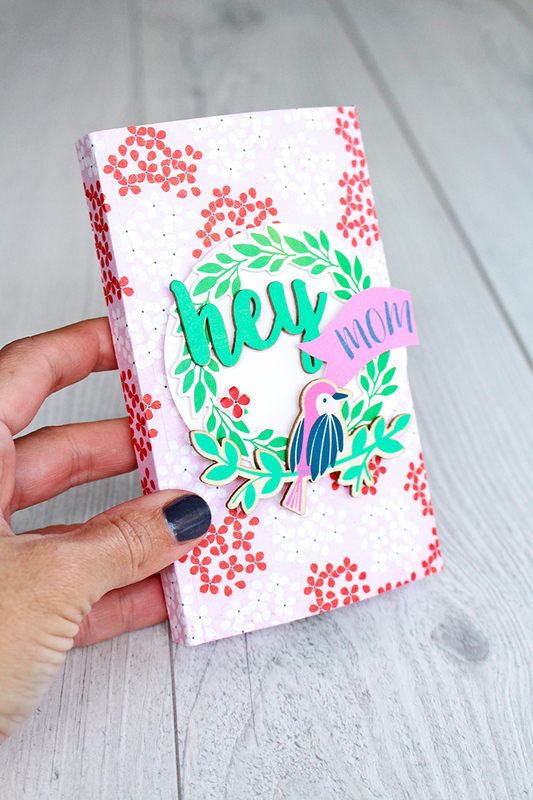 While the idea for this card has been seen before (find a link to create your own here) the way in which you use your supplies and embellish it can make for a stunning and unique gift. I’ve used a combination of Bazzill cardstock for the base and the pretty floral prints of Flower Girl ‘Bouqet’ and ‘Rose Bud’ for the sleeve and inner tray lining. The inner tray and outer sleeve were created using my Envelope Punch board. Now, you might be thinking this is way too complex for you to give it a go, but I promise, it was surprisingly easy to put together. The little tray pulls out to reveal a pop up surprise. This effect is achieved by three small rows of folded cardstock which have been embellished using Flower Girl ephemera and stickers. I thought it would be a cute idea to add in some ’grass’ to compliment the flora and fauna. I used some DIY Party Fringe Tape in ‘Meadow’ and adhered a strip to the front of each row. I then used a very sharp pair of scissors to snip the squared off fringe in a haphazard fashion, creating the blades of grass. The sleeve can also be kept on the base, with the pop up elements on display in front. I’ve used a wreath shape ephemera on the top of the sleeve, along with two super cute pieces of Flower Girl wood veneer. The word ‘Mom’ was actually the word ‘moment’ from the Flower Girl accents sticker pack. I’ve snipped off the rest of the word and popped it on with a bit of foam tape. That cute spring is thanks to bits of acetate I’ve used to back the ephemera. I hope you will give this idea a go. 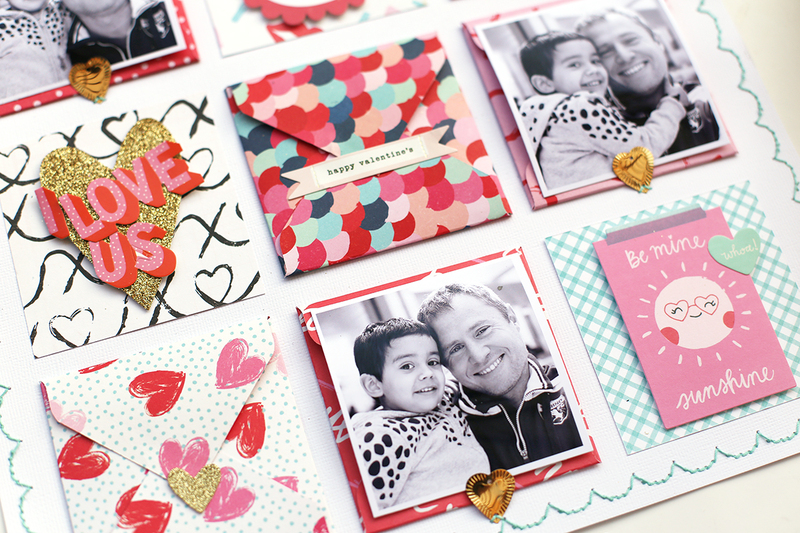 It’s such fun to create and even more fun to receive! Happy Friday friends! 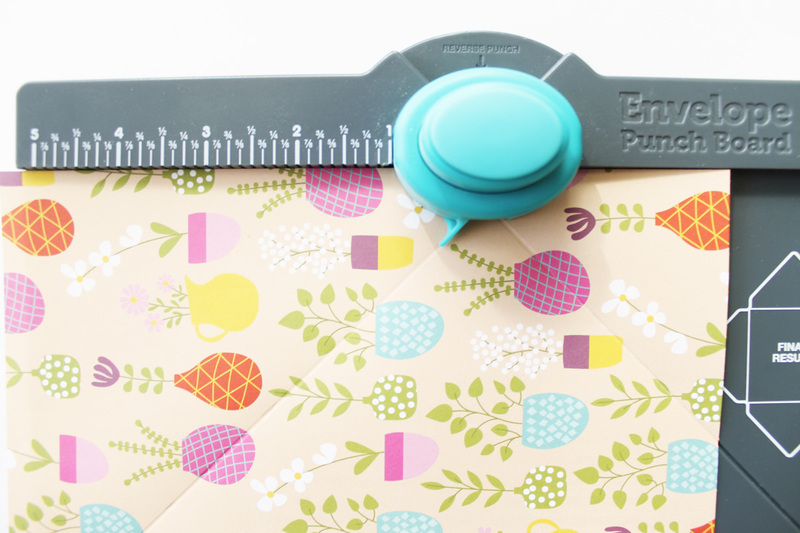 It’s your blog hostess, Aly Dosdall, here to share my version of a Christmas Countdown using some new papers from the DIY Party Collection, and one of my most-used crafting tools, the Envelope Punch Board. This advent calendar was easy to make. 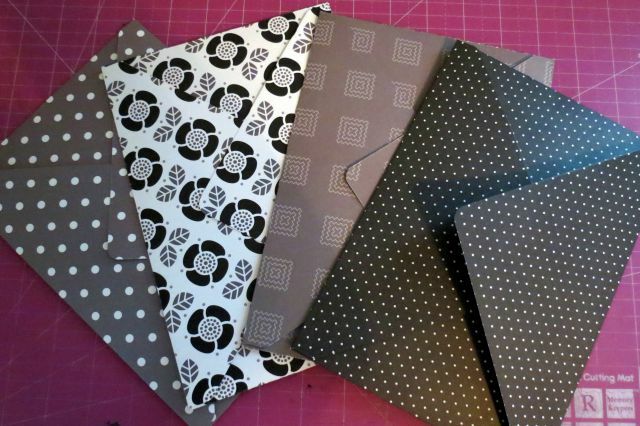 I simply followed the instructions on the board to make 25 different sizes and shapes of envelopes using the DIY Party 12×12 Patterned Paper Pad. I have a certain amount of space to hang them above my fireplace, so I kept the envelopes to 3 1/2 inches wide or less. Then I cut some numbers with my Cameo using gold cardstock from the new DIY Party collection 12×12 Cardstock Pad. I hung my envelopes on green striped baker’s twine using mini wooden clothespins. Each envelope is filled with a slip of paper that contains an advent scripture verse, an inspirational Christmas quote, or the title of an inspirational video to watch. We gather as a family each night and take turns pulling out the paper from that day’s envelope. We do our advent reading (or watch our video) with all the lights off except the Christmas tree, and then each of the kids gets to pick a small treat from our advent treat basket. Do you like to do a Christmas Countdown during December? Share a photo of your handmade Christmas Countdown on our Facebook page HERE. Have a wonderful weekend We R fans! We’ll see you back here on Monday with some more holiday inspiration! Good morning, fans of WeR! Jen McDermott here, and I’m super pumped to share a project I made for Friends of WeR week! 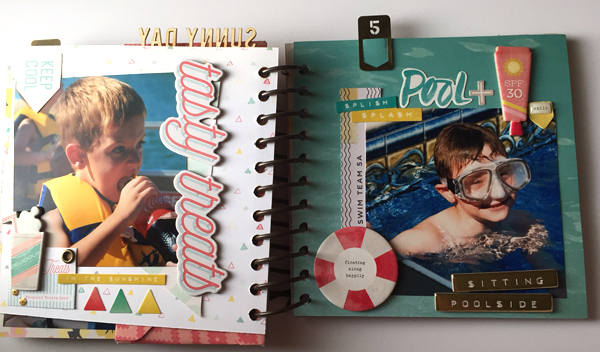 I LOVE the Crate Paper collection that I got to use, Poolside, and had so much fun layering on the embellishments for my fun summer album! I went with a 6×6 album size, so that it would be easy to cut up my 12×12 paper for the album. 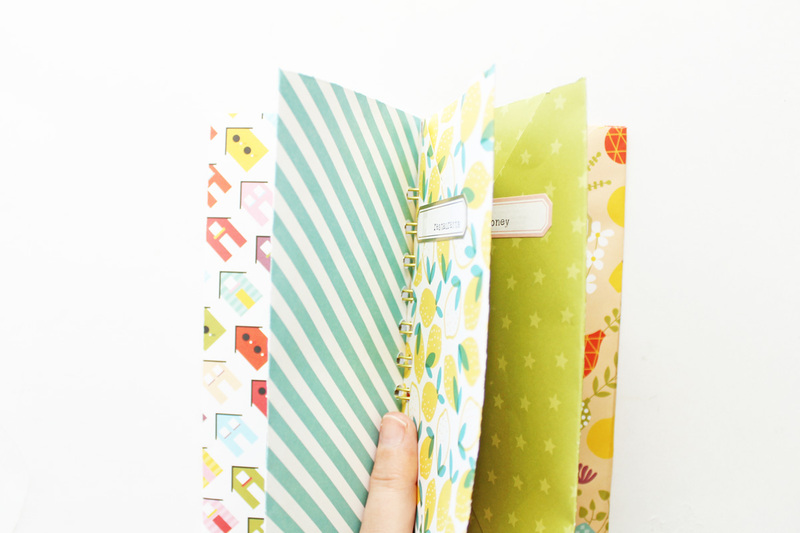 6×6 is also a great mini album size; it fits nicely in the hand and is easy to display. I covered two pieces of WeR 6×6 Book Board with Poolside paper, and cut and arranged the rest of the album papers. Then, I bound the album using the Cinch and some spiral binding wires! 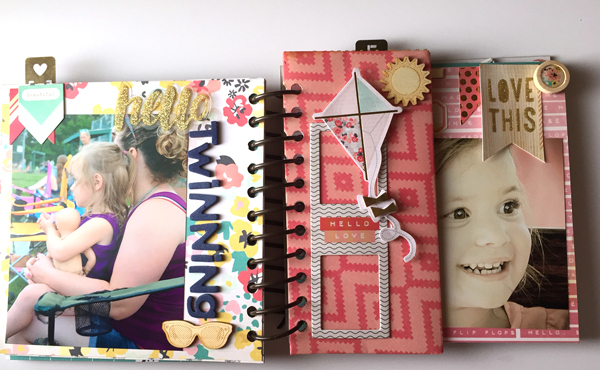 What I love about doing Cinch mini albums is you can have layers and layers of thick embellishment and texture, and you don’t have to worry about fitting the pages into an album sleeve. It all lays pretty flat, even with 3D embellies! 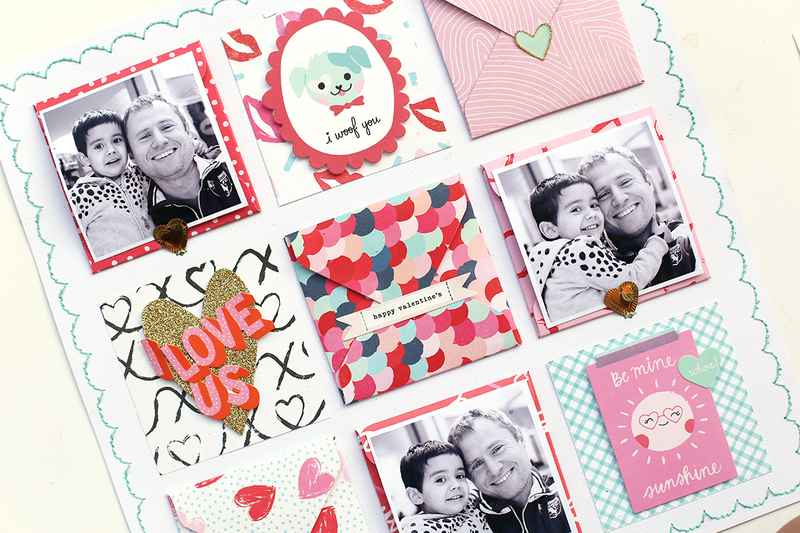 This collection was fabulous for cute pics of my daughter—there are beautiful florals and lots of pinks….very versatile! I also grabbed my Envelope Punch board before Cinching, and made this envelope for holding ephemera collected over the summer, like ticket stubs and receipts of cool stuff we did—stuff that usually gets scattered about and lost. I decorated the front, and when you flip it over, voila! Envelope! Some of my favorite pages in the album are pics of my kids at the pool and the lake. There were SO MANY embellishments and fun themed paper. So. Much. Fun. 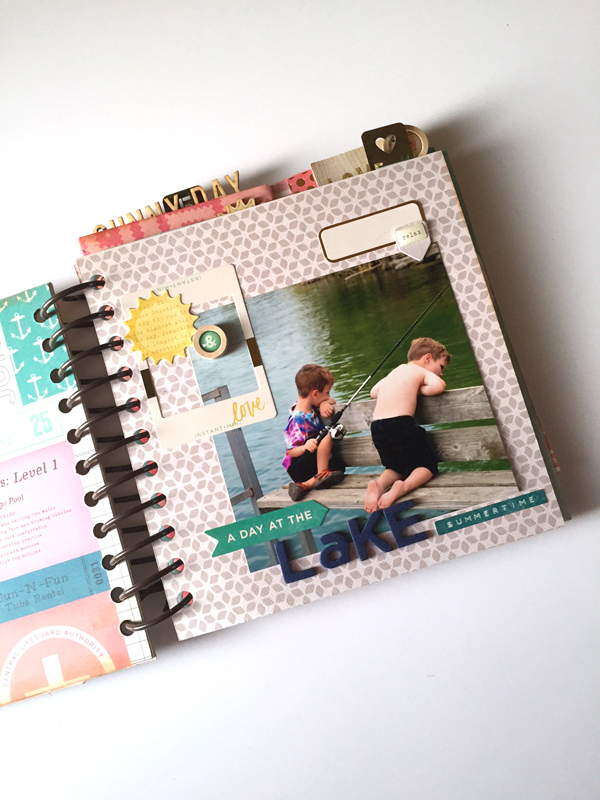 The cinch is such a great tool to have handy when you want to document more than a scrapbook page, but less than a full album. And for when you want to add lots and lots of layers. 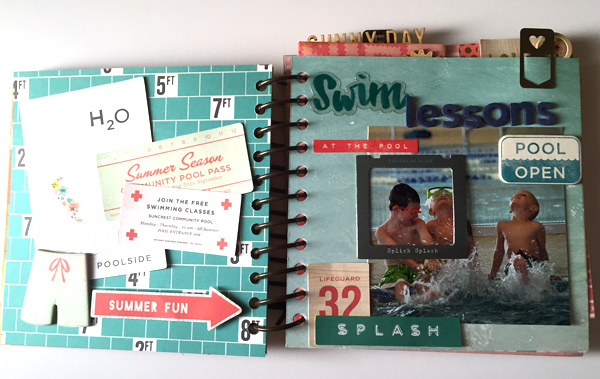 Now that summer is over, how are you documenting your summer memories this year? Hello We R fans! It’s Carrie with you today. 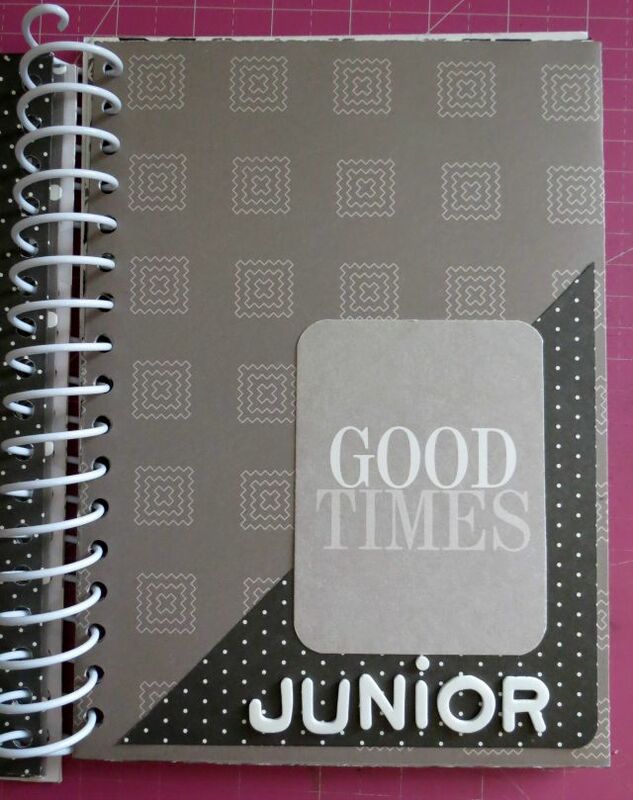 Today I am going to share with you a project I made using the WRMK Cinch Binding Machine. I decided to make something just a little bit different. 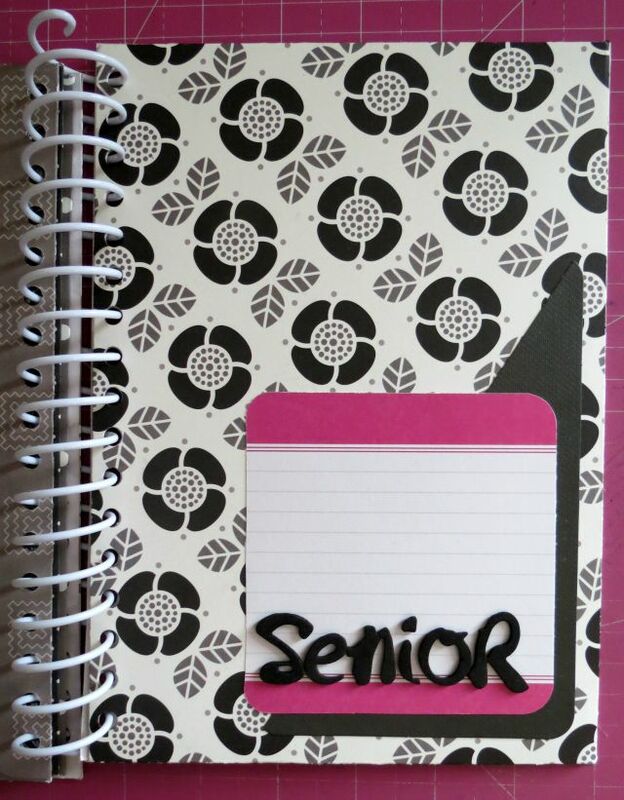 My daughter just started High School and she loves to save little trinkets along with photos so I thought I would make her an envelope memory book for all the little things she saves throughout her high school years. This is what I came up with and I really love the way it turned out! First I gathered all my materials and then I followed the directions on the WRMK Envelope Punch Board. I chose to make my envelopes for a 6×8 ½ card so I cut my paper and scored to the correct measurements. 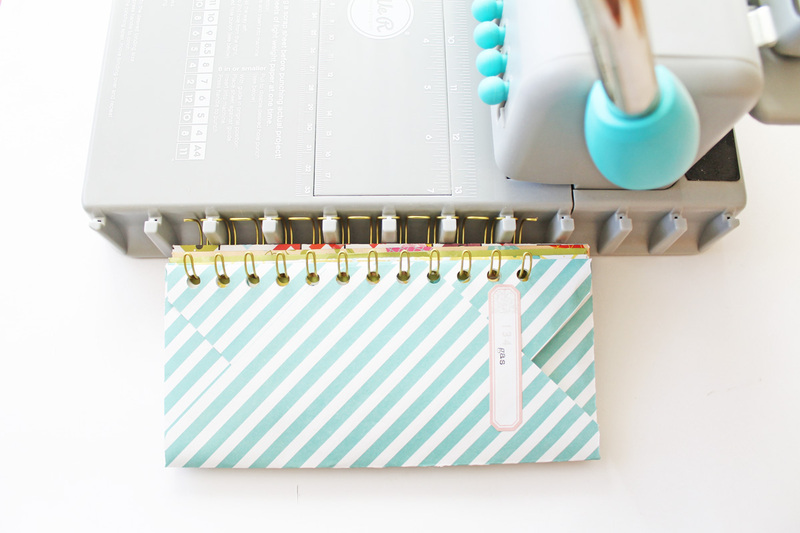 I used the AC Sticky Thumb Double Sided ¼ in sticky tape to adhere my envelopes together. 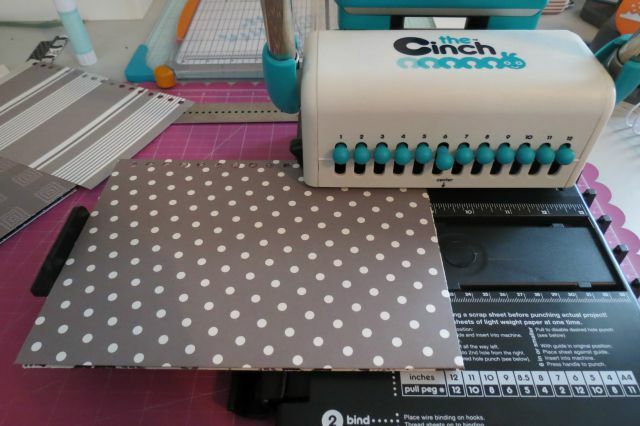 I wanted a way to have the envelopes close so I used my WRMK Magnetic Cutting Mat and Ruler to hold the envelopes in place. I used my WRMK Art Knife to cut a slit in my envelope. Make sure you put a piece of scrap chipboard in the envelope so you don’t cut all the way through. With this slit I can slide the flap of the envelope in and make sure all the little trinkets don’t fall out. Once I got the envelopes and front cover embellished I was ready to Cinch my book together. Before I do this, I always do a practice sheet to make sure everything lines up the correct way, you may want to do this too just to be safe. 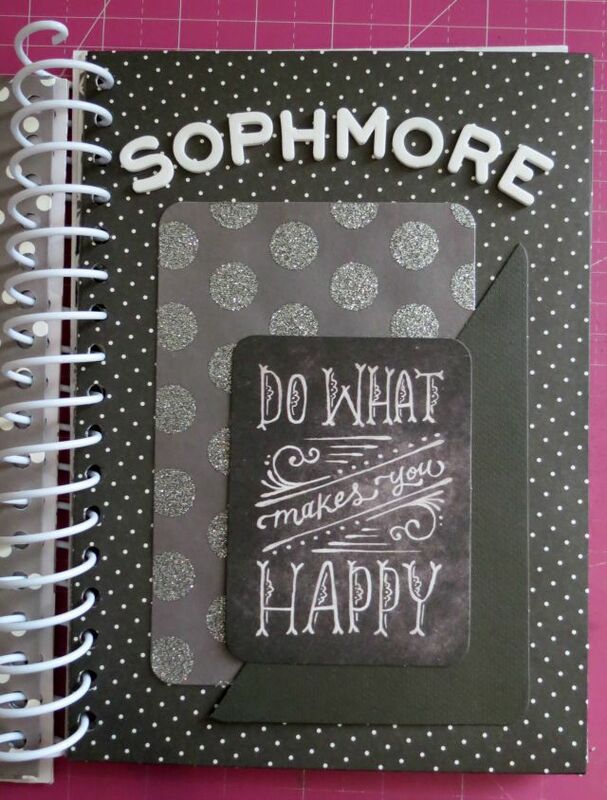 For the binding I chose to use the WRMK Cinch Binding Spiral. For this type of binding you just need to run the end through your holes you just made and twist until it is all the way through. Carefully bend the ends and ta-da! Thanks for stopping by and I hope I was able to give you some inspiration today! 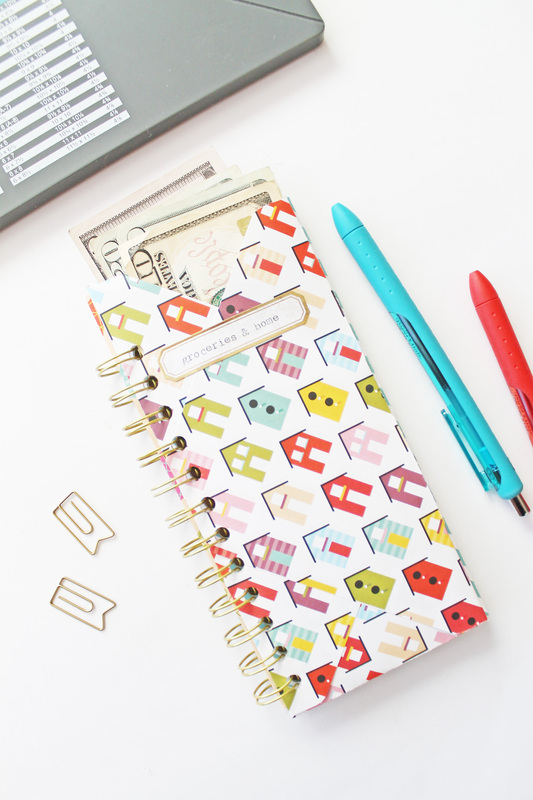 Do you find yourself in need of some crafting ideas? 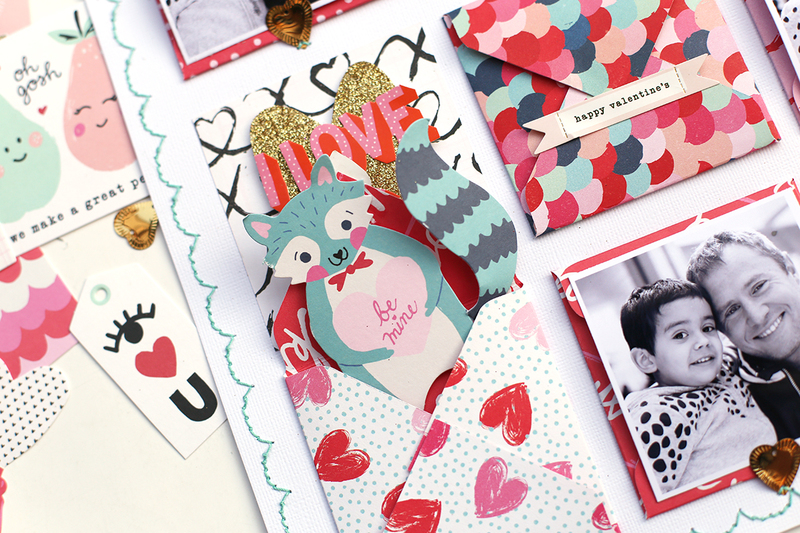 Do you sit down to create with your substantial scrapbook stash only to find your stash of ideas running low? 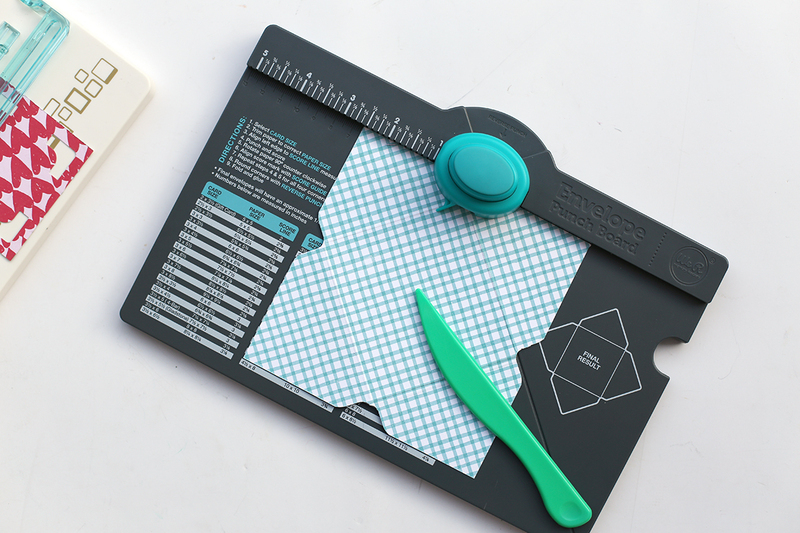 Look no further, because today we’ve got a post chock full of fabulous project ideas using our popular Punch Boards. 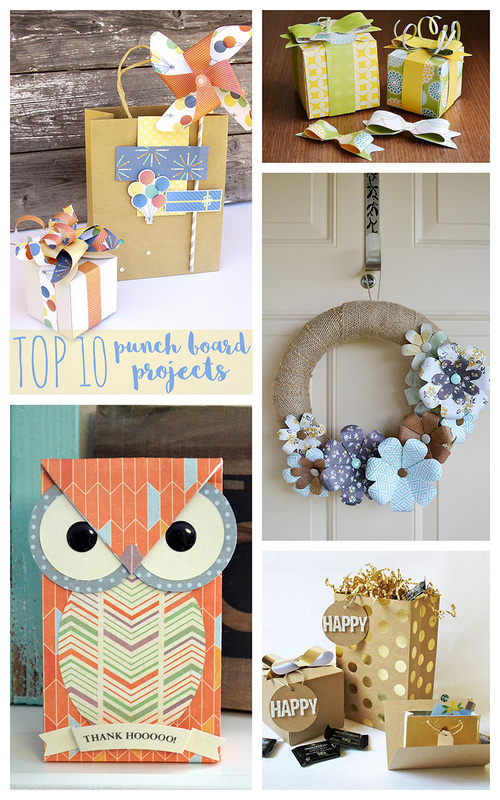 Introducing, our Top Ten Punch Board Projects! 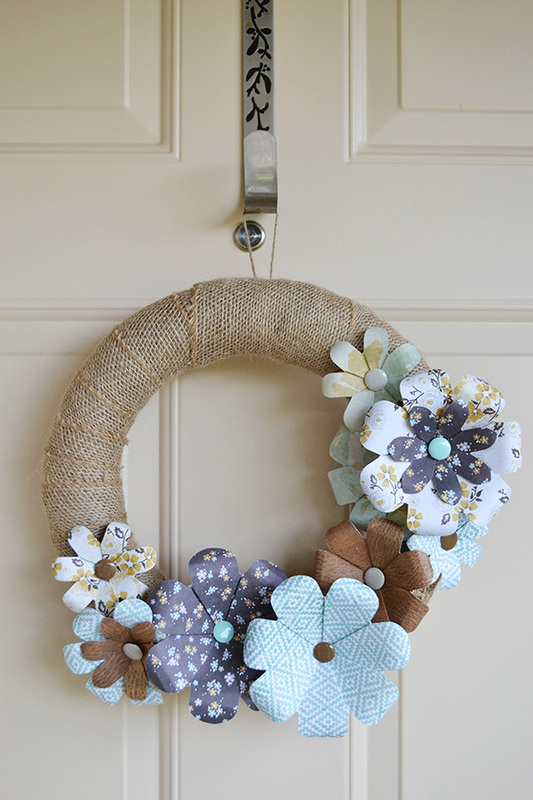 We love this late summer/early fall burlap and flower wreath. 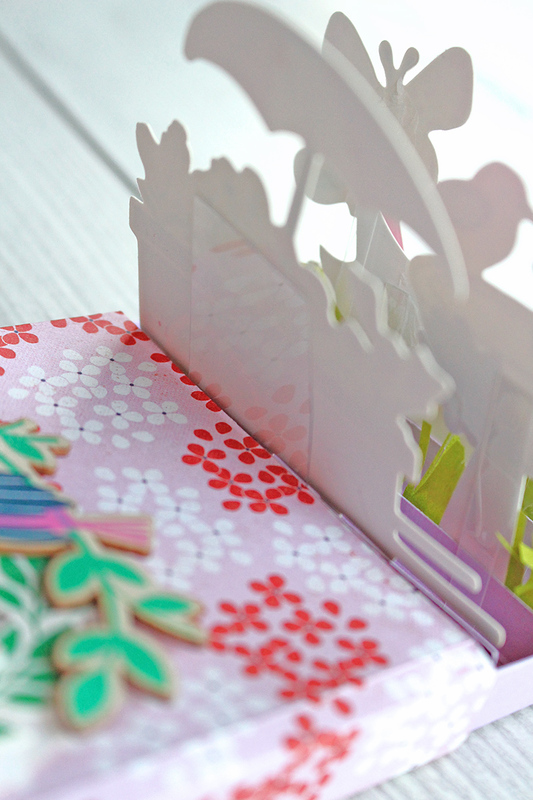 This project is super easy to make with our Flower Punch Board. 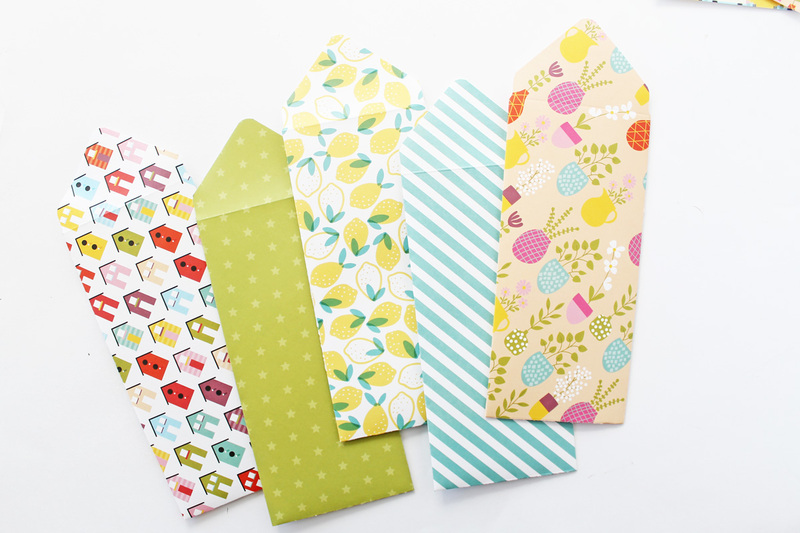 This post showing how to use our original Envelope Punch Board to create paper bows is one of our most popular punch board blog posts. We love finding multiple uses for one tool! Combining our Corner Chomper with the Gift Bag Punch Board makes for a cute and meaningful gift idea for someone you love. 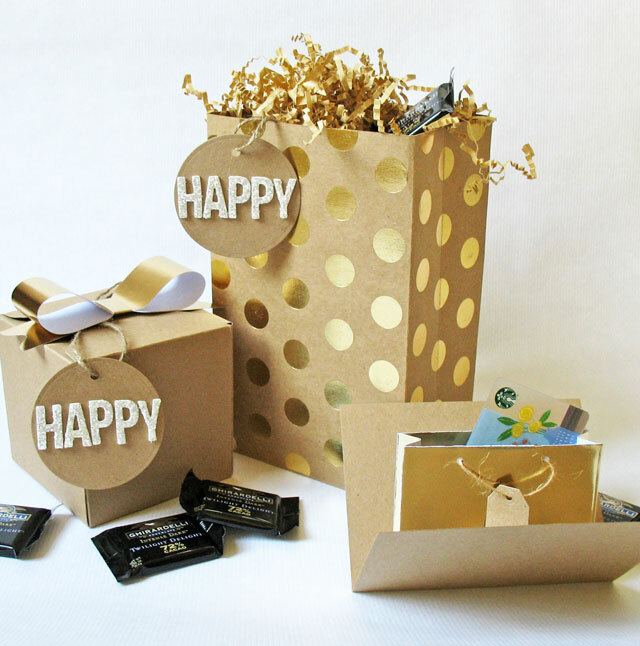 We think this custom gift wrap set by We R designer Jennie McGarvey is so much fun! 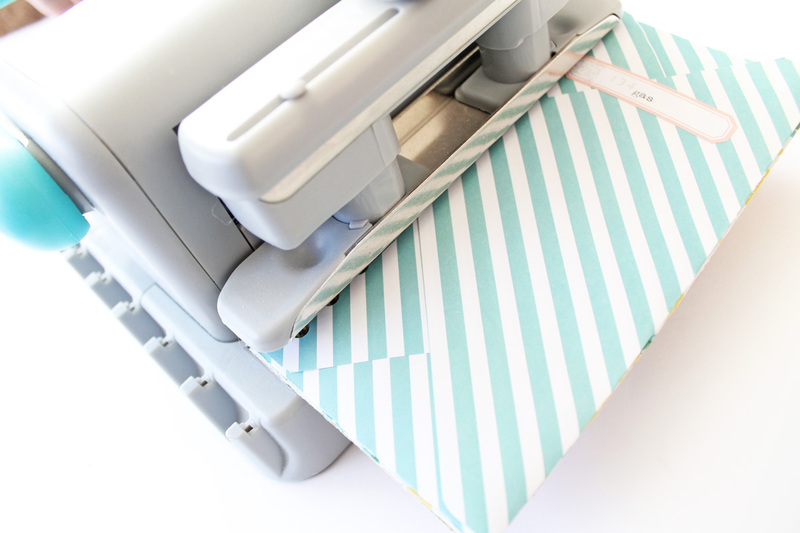 Using our Pinwheel Punch Board for gift wrapping is genius! We R designer, Kathy Martin, shows us that gift wrapping doesn’t have to be feminine and frilly. This Father’s Day Gift Trio she create using the new 123 Punch Board (and some other new We R tools) is perfect for any man in your life. 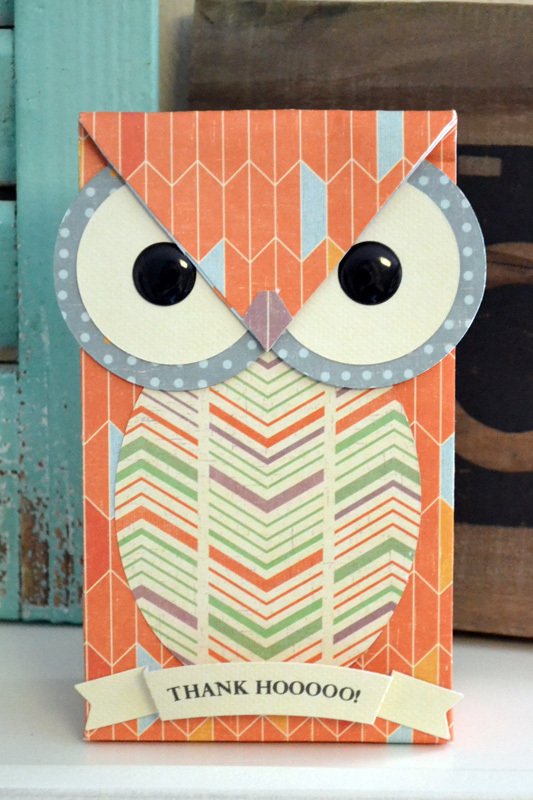 How cute is this Owl Gift Bag made with our Gift Bag Punch Board? This project has been a favorite on Pinterest, and would make the perfect back-to-school teacher gift! 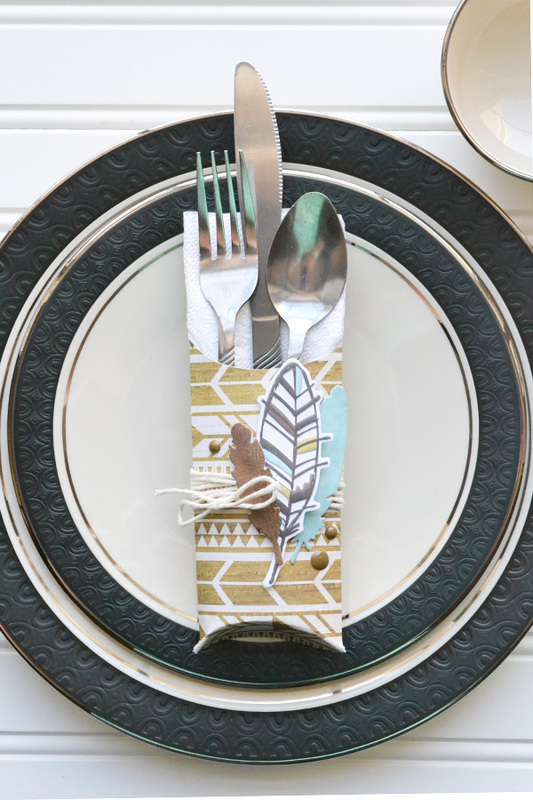 Making a utensil holder with our Pillow Box Punch Board is such a clever use of this tool! 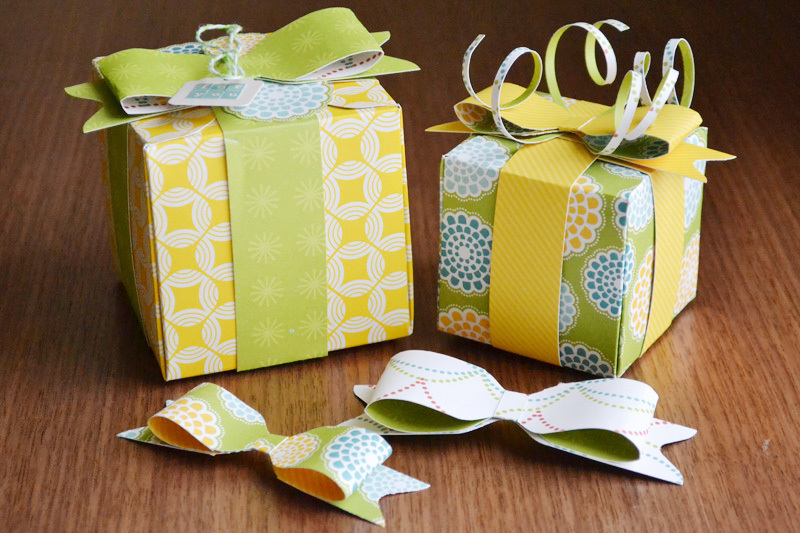 You could make one for any special occasion by swapping out appropriate papers. 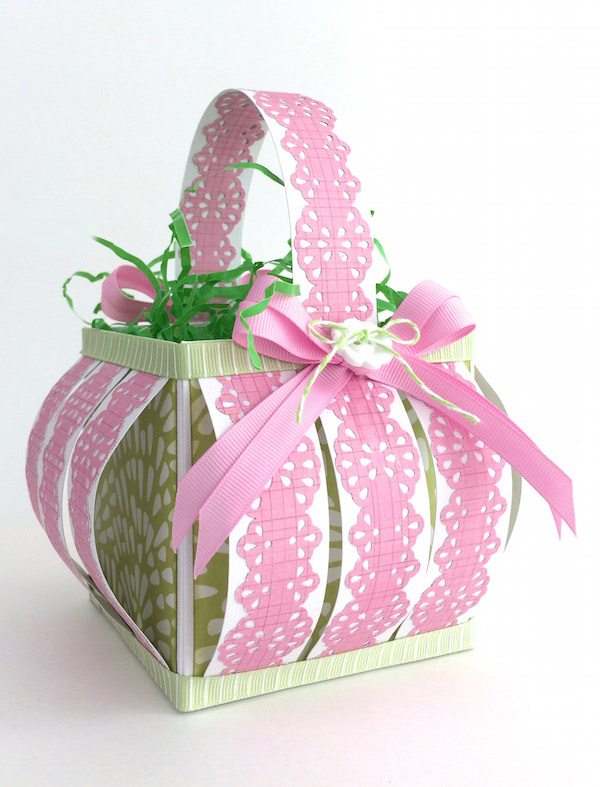 We R designer, Traci Penrod, was really thinking outside the box when she made this elegant Easter basket with our Gift Box Punch Board. Just gorgeous! 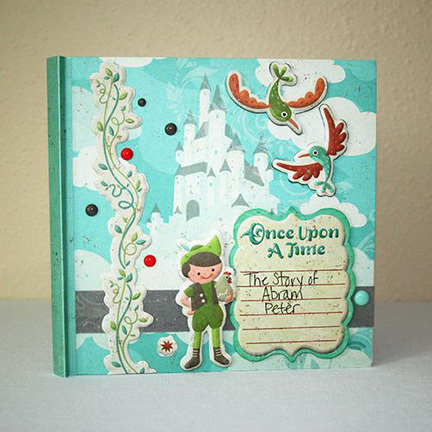 Coming in with the second highest number of all time views on the We R blog, this mini album made with the Envelope Punch Board is easy to make and oh-so-clever! 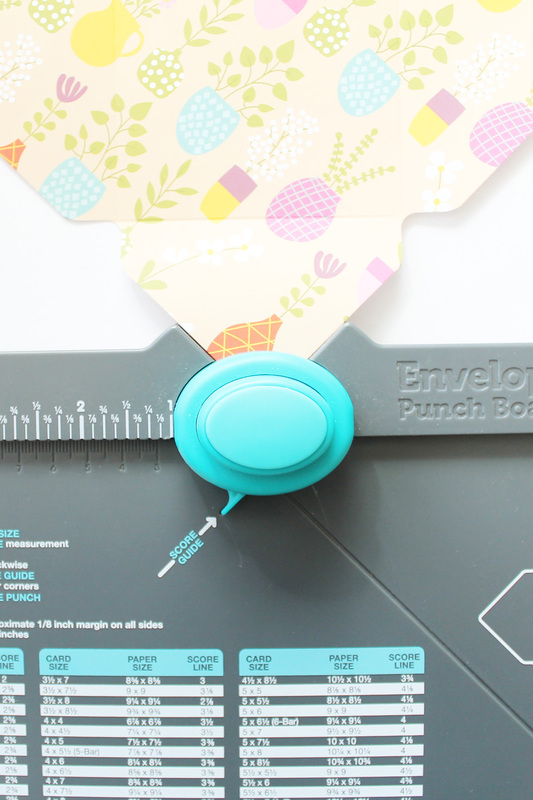 We all know you can make beautiful banners with the new Banner Punch Board, but did you know you can pockets with it too? 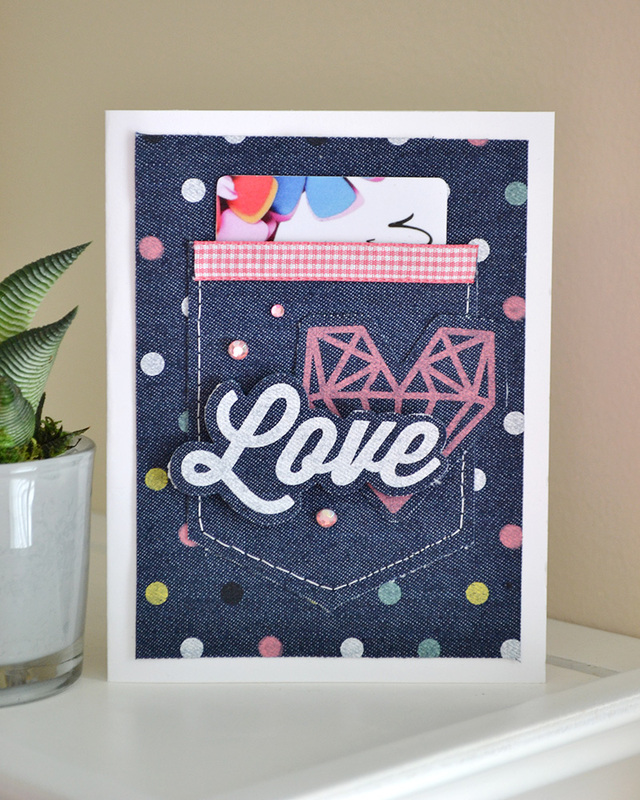 We love this denim pocket card–so fun! 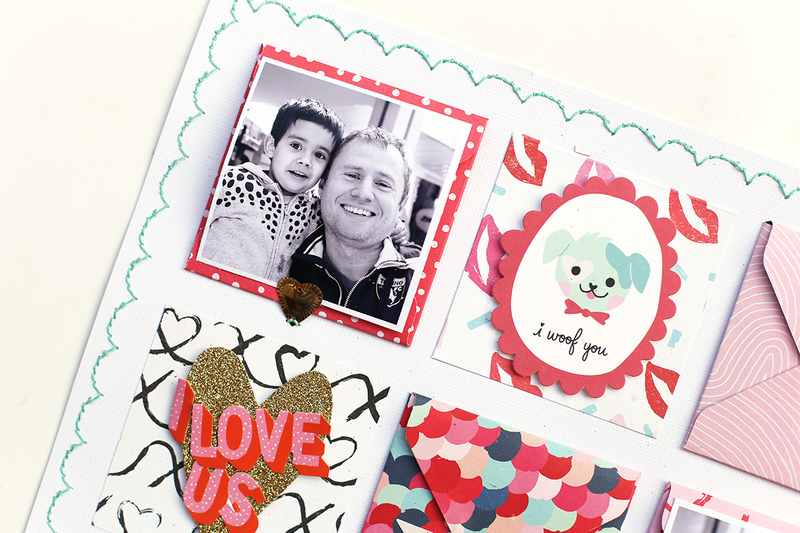 Don’t know about you, but we’re off to grab our Punch Boards and get crafting! We hope this post is as inspiring for you as it is for us. Creative cheers!